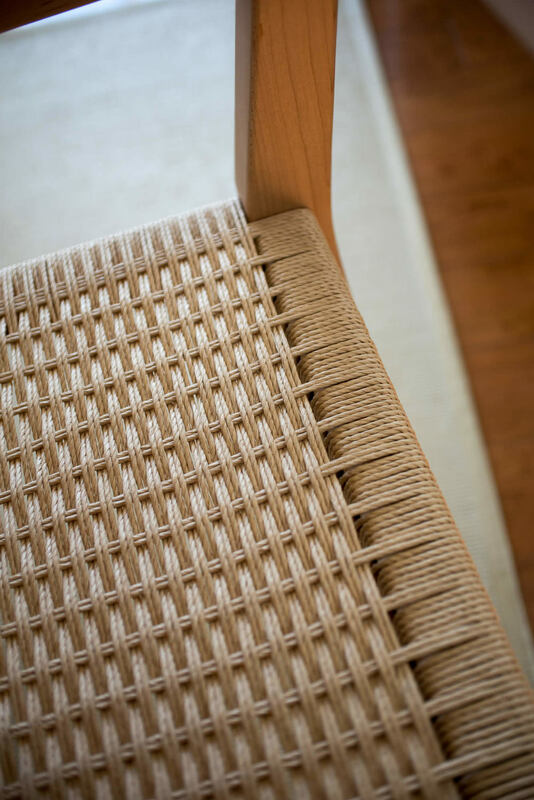 Woven seats are associated with high-end quality furniture, David can weave a Danish corded bench or cane a chair in the standard or spider web weaved pattern. Caning seats really set a chair or bench apart from the ordinary by adding texture and a creating a decorative appearance. Danish cord lends to a more modern look and the weave is tighter in appearance. Both weaving techniques are very attractive and strong enough to be used daily. Joinery is at the heart of fine furniture. Furniture can loosen and wear out with use without joining the wood together properly. 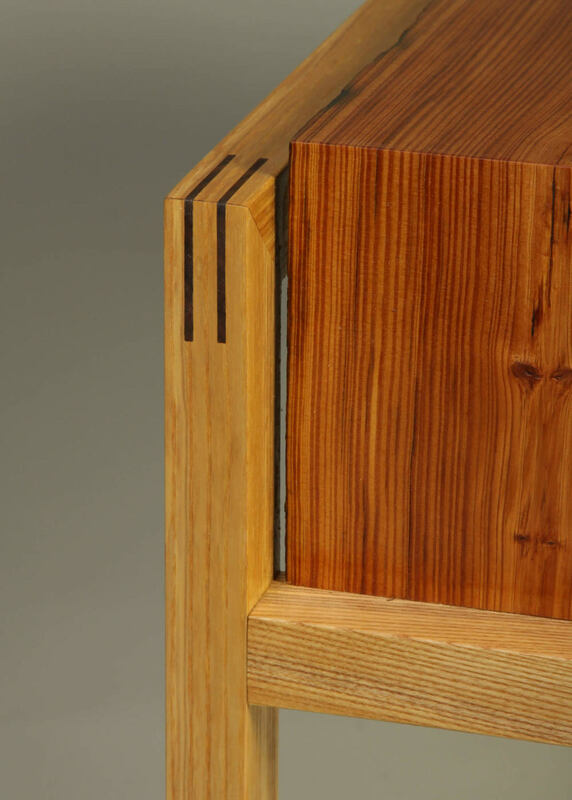 Dovetail, mortise and tenon, half-lap, dado, finger joints, and splined miter joinery are among some of the types of joinery that Bohnhoff Furniture & Design uses to assure your handcrafted furniture will last. Well-fit joinery has been used in furniture that lasts for centuries, as can be seen in personal collections and museums, and is the pride of the craftsman. 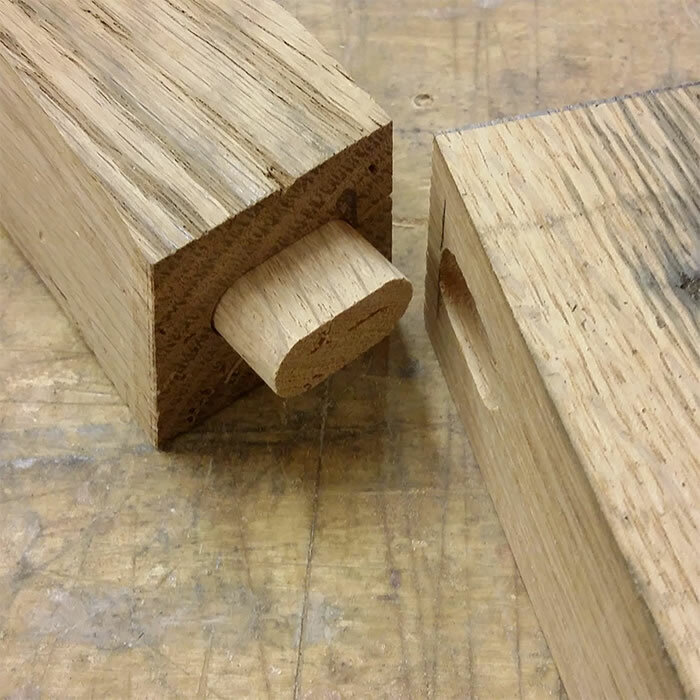 Bohnhoff takes pride in crafting a well-fitted joint. Bending wood is often found in Bohnhoff Furniture & Design creations. Curves add visual interest and comfort to furniture. Bending wood can be accomplished with steam or cutting wood into thin strips and gluing it back together called laminating. Bent wood is used to accomplish a continuous curve too large to be cut out of a single board without losing the wood’s inherent strength. Sawn curves is another technique Bohnhoff Furniture & Design uses to form a large radius. Veneering with unique and highly figured wood is the eye candy for fine furniture. Bohnhoff Furniture & Design is skilled in seaming and pressing veneers and uses this technique when a rare cut or highly figured wood is required for the design. A rare type of cut is a rift sawn oak. It is very straight grain and only a small amount of this look can come from a tree. Veneer also helps keep a consistent color and look through furniture. Mechanical fasteners are widely used in large furniture to reassemble large conference tables or installations that need to be shipped in components. David Bohnhoff uses his knowledge and skill to hide these fasteners and provide a seamless appearance when reassembled. When using screws and bolts, because Bohnhoff Furniture & Design understands wood movement, he drills the proper sized hole so the fastener holds and the wood can move (expanding and contracting) with the seasons. Finishing the wood is a very important step to producing fine custom furniture. The finish protects the furniture from moisture, sunlight and handling. 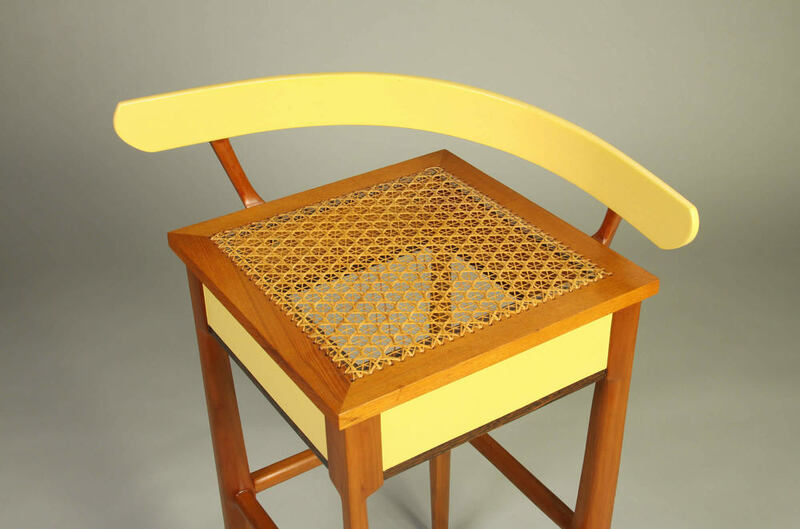 Bohnhoff Furniture & Design can spray lacquer or hand rub oil and wax your furniture. David Bohnhoff will discuss with you the proper finish that will be right for your new handcrafted furniture. David Bohnhoff is a master of these techniques, which are synonymous with high quality custom handcrafted furniture, Bohnhoff Furniture & Design will use these skills to design and build that special one of a kind piece you have always wanted.